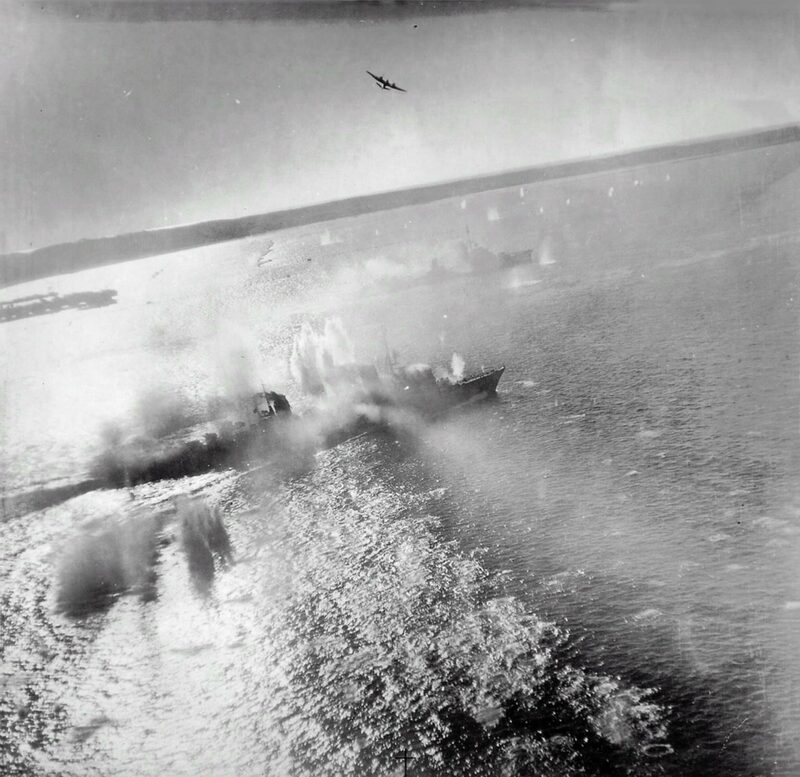 British Bristol Beaufighter attack planes from the 236th and 404th squadrons of the RAF are attacked by missiles German destroyers Z-24 and T-24 at the mouth of the Gironde, near the port of Le Verdon (France). As a result of the attacks both destroyers were sunk. Z-24 and T-24 destroyers at the time of the attack were the last two large ships left by the Nazis in the West.